Cadence, Inc. is pleased to announce that its Wisconsin facility is the recipient of Door County’s 2019 Industry of the Year Award. This award recognizes a local service, construction or manufacturing business that has made a substantial impact on the community and enjoyed significant accomplishments during the recent term. Door County Economic Development Corporation (DCEDC)’s Vice Chair, Todd Thayse, presented the award to Cadence on Thursday, April 24th, during the 30th Annual DCEDC luncheon held at the Stone Harbor Resort in downtown Sturgeon Bay, WI. Community College of Rhode Island (CCRI) students toured Cadence's Rhode Island (RI) facility on March 14, 2019. Cadence staff, Tom Delis, Manufacturing Manager; Ruben Gomes, Manufacturing Specialist; Ed Barbeau, Tool Room Supervisor; and Bonnie Cook, Human Resources (HR) Generalist, hosted the tour. Earlier in the week, Tom Delis and Dan Briggs, HR Manager, visited the college and gave a presentation to the students explaining the company's culture and values, as well as what Cadence RI manufactures. These students are part of a 27-week program called Fast Track to CNC Manufacturing. The curriculum includes blueprint reading, precision measurement, geometric dimensioning and tolerance, engineering graphics, and CNC machining. 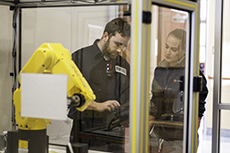 Students receive their OSHA-10 certification, and the program then leads to a certificate in advanced manufacturing and an Associate's Degree in Advanced Manufacturing. As a part of the program, up to 6 students will begin job shadowing at Cadence RI over the next several months. The 24 students currently in the program were chosen from an initial pool of 150 applicants. Cadence is excited to host these motivated students and contribute to their dream of becoming CNC Machinists! Each year, Cadence honors founder Martin Lightsey's achievements and successes by awarding local high school seniors with the “Martin Lightsey Scholarship for Technical Education” in partnership with the Community Foundation of the Central Blue Ridge in hopes of helping others achieve their goals of furthering their education in a technology-based field. Recipients of the 2018 Martin Lightsey Scholarship, Wei Wang, Michael Koch, and Isaac Edwards, stopped by Cadence's headquarters in Staunton, VA on March 13, 2019, and had the opportunity to meet Mr. Lightsey and received a special tour of the Virginia facility. This scholarship is awarded to deserving high school seniors, residing in Staunton, VA; Waynesboro, VA; or Augusta County, VA, who pursue technical education at either a two- or four-year college or university. For more information about the “Martin Lightsey Scholarship for Technical Education”, please visit the Community Foundation's website. Valley Career and Technical Center (VCTC)’s Computer Integrated Manufacturing (CIM) program recognized Cadence on March 5th during the Community Foundation of the Central Blue Ridge’s annual reception that took place at VCTC’s CIM and Fabrication Lab in Fishersville, Virginia. The event highlighted the community’s generous donations to local organizations and all of the work done in partnership with the Community Foundation. It also introduced Community Foundation fund partners, donors, volunteers, and other community leaders to the CIM program at VCTC that provides local high school juniors and seniors with training across core manufacturing and engineering skillsets. Andrei Dacko, CIM Instructor, provided an overview of VCTC’s newest program during the event. He also thanked Cadence for ‘taking a risk’ and investing in a new program that started from the ground up. Cadence Virginia’s Vice President of Manufacturing, Tom Nelli, accepted the student-made 3D printed award on behalf of the company. “We truly value our partnership with VCTC and it’s been wonderful to witness all of the tremendous work that Mr. Dacko and his students have done since the program’s inception,” stated Mr. Nelli. Along with the Community Foundation, Cadence helped provide the start-up funds needed to create this exciting addition to the program of technical education for students in our three local school districts that include Staunton, Waynesboro and Augusta County, Virginia. Cadence recently partnered with Valley Career and Technical Center (VCTC), located in Fishersville, Virginia, to help get their new Computer Integrated Manufacturing (CIM) program up and running to help train the next generation of the manufacturing workforce. Cadence donated funds that provided a UR5 collaborative robot to be used in the lab’s Robotics & Automation Work Cell, four Form 2 production-quality Stereolithographic (SLA) printers with a year supply of resin, a UV Cure post-processing chamber and a post-processing wash unit all to be used in the Design & Additive Manufacturing Work Cell in an effort to invest in the future of manufacturing. VCTC’s CIM program began in August with fourteen students enrolled from various local high schools. The one-year program provides juniors and seniors with training across core manufacturing and engineering skillsets including the design process, technical sketching and drawing, 2D and 3D part modelling, design for manufacturability, reverse engineering, robotics, automation and manufacturing processes. Upon graduating from the program, students will have a solid foundation for success as an entry level operator with local manufacturers, as well as preparation necessary for post-secondary education in advanced manufacturing and engineering-related degree programs. Mr. Dacko also stated, “This partnership is invaluable as it demonstrates something local students and schools don’t often experience – an up-front commitment from a local employer that says we believe in you, and we believe in the importance of what you’re learning and want to help set you up for success.” This partnership also offers students the opportunity to collaborate with Cadence on mutually beneficial projects such as part design and prototyping which provides students with real-world skills. In addition, CIM students got the chance to tour Cadence’s Virginia facility to see the machines and processes in action. This experience allowed students to observe a day-in-the-life of manufacturing so that they could then apply that knowledge back in the classroom. Kohlberg & Company L.L.C. (“Kohlberg”) is a leading private equity firm headquartered in New York. Since its inception in 1987, Kohlberg has organized eight private equity funds, through which it has raised $7.5 billion of committed equity capital. Over its 31-year history, Kohlberg has completed 72 platform investments and approximately 170 add-on acquisitions, with an aggregate transaction value in excess of $15 billion. For more information, please visit www.kohlberg.com. Cadence Inc. is a leading supplier of advanced products, technologies and services to medical device and specialty industrial companies worldwide. Cadence develops solutions-oriented relationships with customers and provides highly technical solutions that enable improved product performance in clearly measurable ways. Cadence employs more than 475 people worldwide with its global headquarters in Staunton, VA. More information on Cadence can be found at www.cadenceinc.com. As a “go-to” source for laser processing requirements, Cadence offered updated perspective to ODT’s latest summary of laser developments. In a featured article titled, “Maintaining a Laser Focus”, advancements in laser cutting, laser welding, and LaserSwiss are highlighted. Also noted is the on-going development of custom manufacturing solutions in our Advanced Welding LabTM. This effort allows us to choose the best laser raw technology and couple it with the motion control and material handling systems needed to yield the best outcome for our customers. Every year, Cadence honors founder Martin Lightsey's achievements and successes by awarding local high school seniors with the “Martin Lightsey Scholarship for Technical Education” through the Community Foundation of the Central Blue Ridge in hopes of helping others achieve their goals of furthering their education in a technology-based field. This scholarship is awarded to deserving high school seniors, residing in Staunton, VA, Waynesboro, VA, or Augusta County, VA, who pursue technical education at either a two- or four-year college or university. Recipients of the 2017 Martin Lightsey Scholarship, Sadie Garber, Emma Casto, and Micalah Morrison, stopped by Cadence's headquarters in Staunton, VA on January 4, 2018 and had the opportunity to meet Martin Lightsey and receive a tour of the Virginia facility. For more information about the “Martin Lightsey Scholarship for Technical Education”, please visit the Community Foundation of the Central Blue Ridge's website. The new 4,000W fiber laser cutter adds to our existing portfolio of modified tube cutting lasers and completely custom flat sheet cutting lasers. It also has the ability to cut 1,000 Inches Per Minute (IPM) with a positioning accuracy of +/-0.001” and a 5’ x 10’ cutting area. In addition to laser cutting, Cadence provides other laser processing capabilities such as laser welding, laser marking, and LaserSwiss. Also under development in our Advanced Welding LabTM is a new system for testing cutting-edge laser welding optics for our next-generation equipment. Cadence, Inc. is pleased to announce the launch of its newly redesigned website, cadenceinc.com. The new website highlights the company’s various products and manufacturing capabilities, along with videos and the latest corporate news and events. Cadence, Inc. announced today the launch of a new e-commerce solution, cadencescience.com, that allows its customers to easily conduct online purchasing of custom and standard precision fluid handling components and fluid movement systems for laboratory testing and dispensing applications. The new web store features products such as animal feeding needles, adapters, standard and custom needles, stopcocks, and syringes. To view the new web store, please visit cadencescience.com. Cadence, Inc.’s Sturgeon Bay, WI facility hosted the Door County, WI Economic Development Corporation’s “Buy Local” networking event. The event focused on networking and helping familiarize the Door County business community and public with products that can be purchased locally. While products made in the Sturgeon Bay facility cannot truly be purchased locally, most residents encounter these WI-made products on a daily basis and do not even know it. More than 60 guests attended the event, including State Representative Joel Kitchens and Mayor of Sturgeon Bay, Thad Birmingham. Cadence announced today that it has finalized planned changes to its manufacturing footprint. This effort to optimize use of company assets included the move of the Sturgeon Bay, Wisconsin operations into a new 63,000 ft2 production facility and the divestiture of facilities located in Plymouth, Massachusetts, and the Dominican Republic. The new, state-of-the-art facility in Sturgeon Bay will showcase core capabilities in precision stamping, multi-slide forming, injection molding, automated assembly, and in-house tool building. Other changes include the sale of the Dominican Republic facility to EG-GILERO, a division of EG Industries, and the consolidation of the facility in Plymouth, Massachusetts. For more information on Cadence, please visit our website at cadenceinc.com. Cadence, Inc.’s Sturgeon Bay, Wis. facility celebrated its grand opening of the new 63,000 square foot facility with a ribbon cutting ceremony today. The new building nearly triples the footprint of the previous facility and enables increased production capacity of the team’s core capabilities in precision and microstamping, multi-slide forming, injection and insert molding, and automated assembly. Cadence is a single-source manufacturing partner for medical device, diagnostics, industrial and automotive companies worldwide, providing end-to-end solutions focused on best-in-class total value. 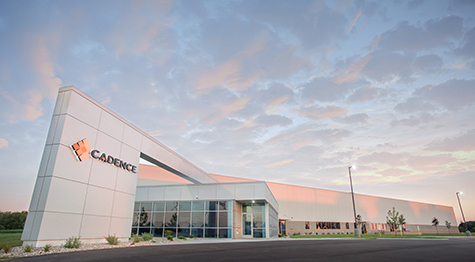 Cadence, Inc. announced today that it has completed its move into a new, state-of-the-art, 63,000 square foot facility located in the Sturgeon Bay Industrial Park at 1425 S. Neenah Avenue in Sturgeon Bay, Wis. A grand opening and ribbon cutting ceremony is scheduled for Tuesday, July 26. Cadence was recognized with a Superior Worksite Health Award from Blue Cross & Blue Shield of Rhode Island (BCBSRI) and the Greater Providence Chamber of Commerce (the Chamber) for effective programs encouraging employee health and well-being in a meaningful way. There is a long history between Cadence and Blue Ridge Community College (BRCC) located in Weyers Cave, Va. This year marks the 20th anniversary that Cadence began its endowment with the school, helping to provide technologies for the Technical Studies/Manufacturing Engineering program that includes Mechatronics. “It’s important to have partners in the community like Cadence who recognize the value that we’re providing,” stated Amy Kiger, Executive Director of BRCC’s Educational Foundatio n.
The relationship between Cadence and BRCC goes both ways and is much deeper than just the lifetime endowment. Not only does Cadence provide funding to the school but also some of our best employees are graduates or current students of the Mechatronics program. “I feel as though I’ve succeeded when students can draw back on the core building blocks learned here at Blue Ridge Community College and apply those skills to their careers,” said Director of BRCC’s Technology Intensive Manufacturing Service Center, Matt Goss. Cadence also collaborates with the Community Foundation of the Central Blue Ridge (CFCBR) to support “Student Focus. Community Impact. The Campaign for Blue Ridge Community College.” This partnership focuses on helping fund various technologies and curriculum materials, BRCC’s Career Coach program that places educational and career advisors into 12 local high schools, and the Workforce and Economic Development program that strives to educate the community and bring awareness to the school’s various degrees and certification offerings. For information on Cadence’s community giving program, grant applications and partnership with CFCBR, please visit http://www.cadenceinc.com/about/community-support. To learn more about BRCC, visit their website at www.brcc.edu. Cadence is pleased to announce that Jeff Kelly has joined the company as Vice President and General Manager of its finished device division. Jeff joins the team with over fifteen years of experience in key leadership roles for other medical and life science companies. Most recently, Jeff led a team for Quest Diagnostics responsible for marketing and sales, business development, and international expansion. Prior to his role with Quest Diagnostics, Jeff led other commercial and product development teams at Thermo Fisher Scientific, Bayer Healthcare, and Immunetrics. He holds an MBA from the Fuqua School at Duke University and received an undergraduate degree in economics with concentrations in finance and entrepreneurial management from the Wharton School at the University of Pennsylvania. Titan Medical Inc. Signs an Agreement With Cadence Device, Inc.
Titan Medical Inc. (“Titan” or the “Company“) (TSX: TMD) (OTCQX: TITXF) today announced that it has signed an agreement with Cadence Device, Inc., a wholly-owned subsidiary of Cadence, Inc., (“Cadence”). Under the terms of the agreement, Cadence will develop, manufacture and manage the supply chain, sterilization and distribution for multi-articulating robotic instruments for use with Titan’s SPORT™ Surgical System. About Titan Medical Inc. - Titan Medical Inc. is a Canadian public company focused on the design and development of a robotic surgical system for application in minimally invasive surgery (“MIS”). The Company’s Single Port Orifice Robotic Technology, SPORT™ Surgical System, currently under development, is comprised of a surgeon-controlled robotic platform that includes a 3D vision system and interactive instruments for performing MIS procedures, and a surgeon workstation that provides the surgeon with an interface to the robotic platform for controlling the interactive instruments and providing a 3D endoscopic view of inside a patient’s body during MIS procedures. The SPORT™ Surgical System is being designed to expand robotic surgery into both simple and complex areas of surgical specialties and procedures that are currently under-serviced. It is also being designed to allow surgeons to perform procedures within small- to medium-size surgical spaces for general abdominal, gynecologic, and urologic indications. For more information, visit the Company’s website at www.titanmedicalinc.com. About Cadence Device, Inc. - Cadence Device, Inc. is a part of Cadence, Inc. (www.cadenceinc.com), a leading contract manufacturer of advanced products for medical device OEMs. Cadence develops new products that others cannot, builds processes that others will not, and delivers outcomes that simply make the world work better. Cadence enables improved product performance and economics for new medical devices. Advanced plastics and metals capabilities coupled with finished device assembly make a turn-key impact that matters. Cadence employs nearly 500 people worldwide with headquarters in Staunton, VA and other locations in Massachusetts, Pennsylvania, Rhode Island, Wisconsin and a near-shore location in the Dominican Republic. To find out more about Cadence Device, visit www.cadencedevice.com. This news release contains “forward-looking statements” which reflect the current expectations of management of the Company’s future growth, results of operations, performance and business prospects and opportunities. Wherever possible, words such as “may”, “would”, “could”, “will”, “anticipate”, “believe”, “plan”, “expect”, “intend”, “estimate”, “potential for” and similar expressions have been used to identify these forward-looking statements. These statements reflect management’s current beliefs with respect to future events and are based on information currently available to management. Forward-looking statements involve significant risks, uncertainties and assumptions. Many factors could cause the Company’s actual results, performance or achievements to be materially different from any future results, performance or achievements that may be expressed or implied by such forward-looking statements, including, without limitation, those listed in the “Risk Factors ” section of the Company’s Annual Information Form dated March 31, 2015 (which may be viewed at www.sedar.com). Should one or more of these risks or uncertainties materialize, or should assumptions underlying the forward looking statements prove incorrect, actual results, performance, or achievements may vary materially from those expressed or implied by the forward-looking statements contained in this news release. These factors should be considered carefully, and prospective investors should not place undue reliance on the forward-looking statements. Although the forward-looking statements contained in the news release are based upon what management currently believes to be reasonable assumptions, the Company cannot assure prospective investors that actual results, performance or achievements will be consistent with these forward-looking statements. Cadence, Inc.’s Rhode Island facility was chosen as an Employer of Choice Award recipient by the Employers Association of the NorthEast (EANE). The Employer of Choice Award recognizes leading companies and organizations for developing workplaces that value employees, foster engagement, invest in training and reward performance. The EANE selected Cadence for this prestigious award for being an employee-centric workplace that promotes a strong work-life balance and having an expansive wellness initiative. Employers from Massachusetts, Connecticut and Rhode Island who have been in business for at least three years and have a minimum of 25 employees are eligible to participate; both the company size and its resources are considered in the screening and selection process. Entrants are judged in areas that include: company culture, training and development, communication, recognition and reward, and work-life balance. Cadence, Inc., a leading contract manufacturer of advanced products, technologies, and services to the medical, life science, and industrial markets, celebrates 30 years in business. The company, originally founded as Specialty Blades in 1985 by engineer Martin Lightsey, was developed with the concept of combining Computer Numerical Control (CNC) and razor blade sharpening technologies to address the needs of companies who required high performance custom-made blades. Since the company’s inception, its capabilities and services have rapidly expanded beyond its original scope. Cadence has experienced substantial growth since 2003 with a focus on serving the medical device and life science markets, adding a breadth of precision metal process capabilities, injection molding and clean room assembly to our list of current capabilities. Cadence now employs nearly 500 people worldwide with headquarters in Staunton, VA and other locations in Massachusetts, Pennsylvania, Rhode Island, Wisconsin, and the Dominican Republic. About Cadence, Inc. – Cadence develops new products that others cannot, builds processes that others will not, and delivers outcomes that simply make the world work better. Together with our customers, employees, and shareholders, we provide advanced products using science and sound engineering to make an impact that matters. Blue Cross & Blue Shield of Rhode Island (BCBSRI) and the Greater Providence Chamber of Commerce (GPCC) presented Cadence, Inc.’s Rhode Island facility with a Superior Worksite Health Award for effective programs encouraging employee health and well-being in a meaningful way. Cadence, Inc. was one of more than 75 Rhode Island businesses to which BCBSRI and the GPCC distributed Worksite Health Awards at a breakfast attended by hundreds of state business leaders. The event recognized local businesses and employees who have demonstrated commitment to fixing the healthcare system together through greater health and wellness measures, as companies and as individuals. About Cadence, Inc. – Cadence, Inc. helps develop new products that others cannot, build processes that others will not, and deliver outcomes that simply make the world work better. Together with our customers, employees, and shareholders, we provide advanced products using science and sound engineering to make an impact that matters. Cadence employs nearly 500 people worldwide with headquarters in Staunton, VA and other locations in Massachusetts, Pennsylvania, Rhode Island, Wisconsin, and the Dominican Republic. On Thursday, May 21st from 4:30 p.m. to 6:30 p.m., Cadence is set to host the Virginia Bio Foundation Beer and BioTeach event to help science teachers from public and private schools, as well as community colleges, learn first-hand how businesses use science to improve human health and open career possibilities for students. The statewide BioTeach event will promote collaboration between Virginia educators and the bioscience business community to nurture student interest in bioscience and related technology, engineering and math (BioSTEM) careers. 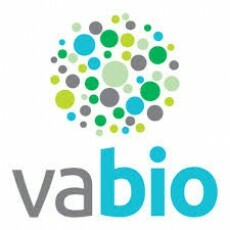 Learn more about the Virginia Bio Foundation and register today for the Beer and BioTeach event. Cadence, Inc., broke ground today on a new 63,000 square foot, state-of-the-art facility located in the Sturgeon Bay Industrial Park at 1425 S. Neenah Avenue, Sturgeon Bay, WI. Cadence is a leading supplier of advanced products, technologies and services to medical, life science, automotive, and industrial companies worldwide. The new facility, nearly three times the size of the existing space, will position the company to expand production capacity and add new technologies to support an expanding customer base. About Cadence, Inc. - Cadence imagines things others cannot, builds things others will not and delivers outcomes that simply make the world work better. We bring together people and solutions in ways no other company can. Hand to hand with our customers, employees, and shareholders, we are inventing new things using science and innovation to make an impact that matters. Cadence employs nearly 500 people worldwide with headquarters in Staunton, VA and other locations in Massachusetts, Pennsylvania, Rhode Island, Wisconsin, and the Dominican Republic. James Madison University (JMU) students enrolled in the Quality Management course this summer will receive first-hand industrial experience with their class being held at Cadence’s Virginia facility over the next four weeks. Students will examine the industrial work cell, as well as value stream mapping, line sequencing, and economic order quantity calculations—all in an effort to help optimize the industrial work cell flow project. This course is another great way for Cadence, Inc. to give back to its community and plans to continue to do so in the future. Cadence has built its business on creating new-to-the-world manufacturing technologies to make complex products the world has never seen. The latest addition of innovative technologies includes a new LaserSwiss machining capability. This novel technology combines 6-axis Swiss machining and laser cutting into one process. Tube fabrication technologies have emerged as significant total cost drivers for critical components. This combination of key tube fabrication technologies provides endless possibilities for complex tubing that were once deemed impossible through conventional Swiss machining alone.